The signal passes to the nerves beneath the skin. These nerves take information to the brain about what they feel, like touch, heat, pressure, and pain. The signals from Electric massager / TENS therapy device can substitute the message of pain on these nerves with a tingling sensation. This action alters the feeling of the pain.The Electric massager/ TENS therapy device signals might also augment the amount of endorphins, a pain-relieving chemical made naturally by the body. 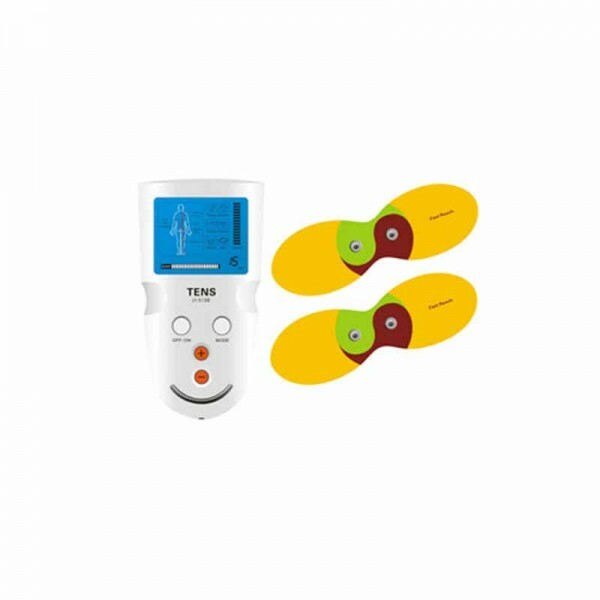 Electric massager/ TENS therapy device emitted impulses will arouse the nerves to the point that they can get rid of pain reactions, decreasing pain for sometime . Electric massager/ TENS therapy device can treats different kinds of aches. Assist in minimizing sharp short-term pain, such as subsequent to surgical procedure or an accident. Chronic pain, like arthritis, back or muscle pain, or cancer pain may also be minimized with the help of Electric massager/ TENS therapy device. Few people have difficulties in taking pain medications. For them, Electric massager/ TENS therapy device with no side-effects is a secure, drug-free way to assist in controlling pain. Electric massager/ TENS therapy device can treat the pain ,and the low-volt electrical current transferred through the electrodes only make a way into the skin to the level of the nerve fibers, more often only one to two inches, which usually causes no harm to most people.That is why more physicians will recommend patients to endure use Electric massager/ TENS therapy device for treatment.Generally, a Electric massager/ TENS component or unit is a moveable, pocket-sized, battery-powered device. The unit makes use of a gentle, secure electrical signals to aid in managing the pain or ache. Storage & transportation Temperature range: -40?~55? It’s a wireless TENS massage device . Lightweight , portable , safety with low electric-current stimulate One TENS massage device can application for more receiver , it’s mean can treatment more acupoint at same time or more people can use it at same time. Speed Auto Adjustable when used on different skin conditions (i.e. dry or moist skin). Intensity is adjustable following user request. Warm set as auto cut the power after used 15 minutes. Can use for shoulder , waist , leg , arm or other body part which feeling pain. Do not use TENS on head. If have cardiac device ,lung device or others medical electronic equipment in the body. Do not use this TENS massage device at the same time. Be sure to keep out of the reach of children. This device should not be used while driving , operating machinery or during any activity. In which involuntary muscle contractions may put the user at the undue risk of injury. Insert electric Pad onto the receiver device . The electrode pad(Ashi Pad) must be attached on the user body( any position) to create a complete the electrical circuit ,one people can put more Electric Pad and Receiver on body or more people put Electric Pad and Receiver on body . and then open the Receiver (pilot lamp will light up) . during massage if want to leave , move or change the electro Pad position have to press off the Receiver . Remove the battery from the unit when the device will not be used for a long period of time. And separate the Electric Pad and Receiver to packing them. One or two times each day. Each time use 15 minutes. One acupoint after 3 hours to use massage device again is better . Do not Immerse the Wireless TENS Massage Therapy device in Any Cleaning Solution. Should periodically wiped clean the unit using a damp cloth or neutral detergent. Electro Pad (Ashi pad) stick surface should be keep cleaning .After use should be stick back on the plastic board and packing them immediately.Can use water to cleaning the stick surface to resume the viscous. If the viscous not enough should be change a new one.